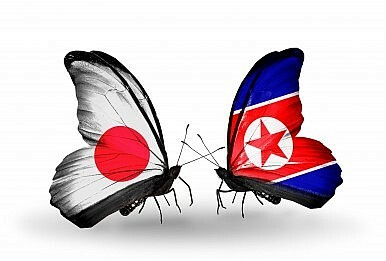 As the region shifts around Pyongyang, it reaches out to reaffirm its meeting with Tokyo. On Sunday, North Korea fired what are reportedly two Scud short-range ballistic missiles from its east coast near Wonsan at 4:50 a.m. and 4:58 a.m., traveling about 500 km before landing in international waters. This is after the North test-fired missiles last Thursday and Friday, with leader Kim Jong-un overseeing the Friday launch of a “newly developed cutting-edge ultra-precision tactical guided missile,” according to the official Rodong Sinmun. The launches are likely intended to influence three key meetings in the region this week. The visit North Korea is likely most concerned with is Chinese President Xi Jinping’s two day trip to Seoul starting Thursday, which South Korean President Park Geun-hye announced last Friday. This is reportedly the first time China has sent a top official to Seoul before visiting Pyongyang. North Korea’s ties with China have become strained as Pyongyang’s new leader consolidates his power, and signs of Chinese favoritism toward South Korea could prompt North Korea to show it cannot be left out of any regional power calculus. North Korea’s Scud missiles are generally believed to be intended for use against South Korea. Finally, the chairmen of the Joint Chiefs of Staff (JCS) of the U.S., Japan and South Korea will meet this week in Hawaii to discuss elevating their coordination with regard to Pyongyang’s nuclear and missile capabilities, according to Yonhap News. While this type of meeting is fairly routine, North Korea often responds to allied military drills with threats of retaliation and military displays of its own. The North’s Scud launch on Sunday fits with its normal pattern of behavior by appearing threatening if it perceives the regional balance to be shifting against it. The most interesting part is its reassurance toward Japan, with Tokyo responding in kind that their discussions would not be affected. The two appear determined not to let the abduction negotiations fall apart yet, as further cooperation looks to be on the table.